A new speculative report out of the Far East claims Apple is likely to add dual-LED flash to the next-generation iPhone. 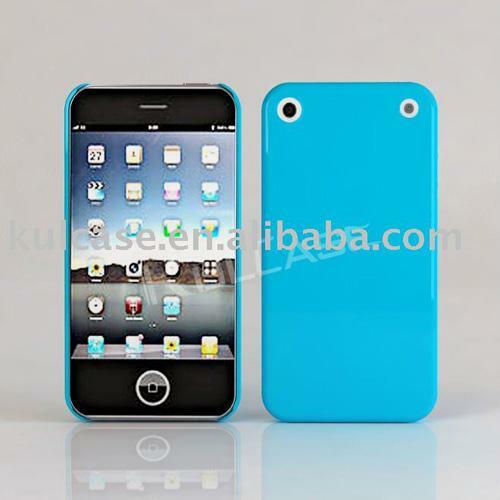 DigiTimes said Thursday that "recent market rumors" indicate Apple's iPhone 5 will likely come with a dual-LED flash. Taiwan-based LED packaging firms Everlight Electronics, Edison Opto and Lite-On Technology are named as potential suppliers. Although the publication has well-placed sources within the Asian supply chain, the accuracy of its Apple predictions varies significantly. "Everlight and Lite-On have strengthened their deployments in the smartphone market for a while, with their products already being shipped to the supply chains of brand-name handset vendors," the reported noted industry sources as saying. Meanwhile, sources said that Edison specializes in high-power LEDs and has reportedly started shipping LED flash products to branded handset vendors, giving it a "high chance" of attracting dual-LED flash orders from Apple. AppleInsider was first to report last week that Apple has "greatly reduced" orders for Philips LED flash components in recent months and may go with another company for the iPhone 5, according to a person familiar with the matter. At the time, the source indicated that "highly unconfirmed" rumors pointed to a Taiwan-based firm as the new LED flash supplier. Apple first began using LED flash in last year's iPhone 4. Six months prior to the device's unveiling, AppleInsider reported that the iPhone maker was shopping for LED camera flash parts, with Philip's Lumileds Lighting sector as the likely supplier. Last month, photos of a few purported next-generation iPhone cases and parts components emerged, showing a shift in the location of the device's camera flash. An alleged case leak showed up on a Chinese international trade site, followed by photos of a supposed fifth-generation iPhone rear camera part without attached flash. Finally, a photo of a back panel allegedly for the so-called iPhone surfaced in late May. Reports on the next-generation iPhone have picked up steam as of late. Bloomberg claimed earlier this week that an A5-equipped iPhone with an 8-megapixel camera is coming in September. The report also alleged that Apple is working on an iPad 3 with "one-third higher" resolution than the iPad 2.